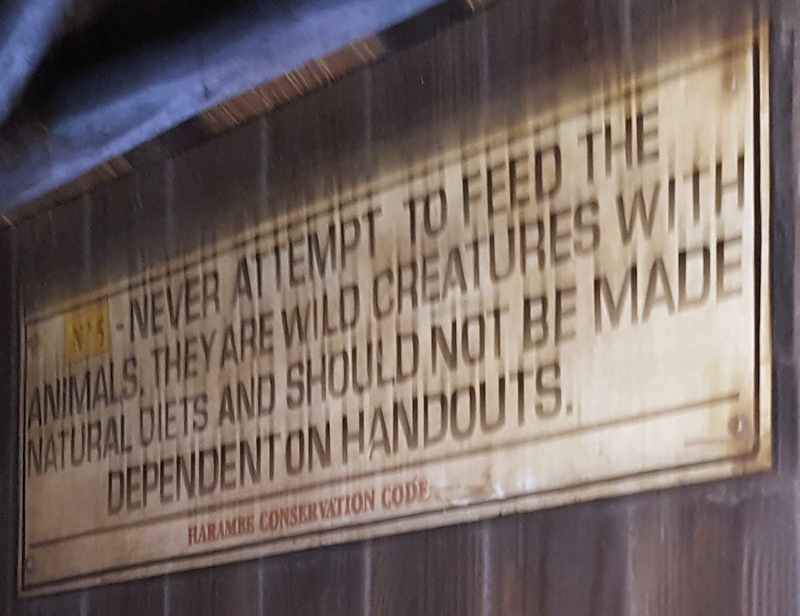 When I saw this sign at the zoo, I thought, "If only more people took this degree of care with Homo sapiens!" My first thought, on seeing an article intimating that dependency on the state might be useful to a socialist regime was, "That's true -- and rich coming from the Times." Mea culpa. I should have guessed that this guy would, by intent or incompetence, whitewash a tactic used by every variety of thug from ward-healers to dictators. 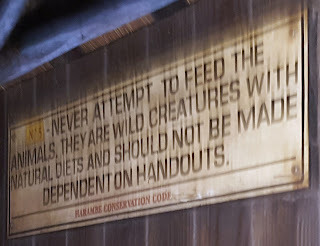 It's not the diminution of individual autonomy and initiative (little-by-little at first) that government "aid" programs cause that the Times opposes: Just the obvious ones. Likewise for the gradually increasing tolerance on (most of) our part of the government looting that such programs require. Apparently, we should find the idea of being just a little dependent on the government -- or having our pockets picked just a little -- preferable to what that thug Maduro is doing. To be fair, we are better-off than Venezuelans, but only in the same sense that losing a wallet in a mugging is "better" than one's life savings in a swindle. The truth is, we are being robbed and bribed with a fraction of the proceeds, albeit much more mildly than the Venezuelans are -- and we should be very uncomfortable with the implicit suggestion that being robbed a little bit is the same as not being robbed at all. It is absolutely wrong for the government to tell us how much of our own money or freedom we get to keep, and saying, "at least we don't have Maduro" is not the same thing as saying, "We live in a free society." We are freer and richer than Venezuela, but we can end up there if we don't stop excusing and normalizing the daily violations of our rights and affronts to our humanity that come from improper government, whatever its extent.